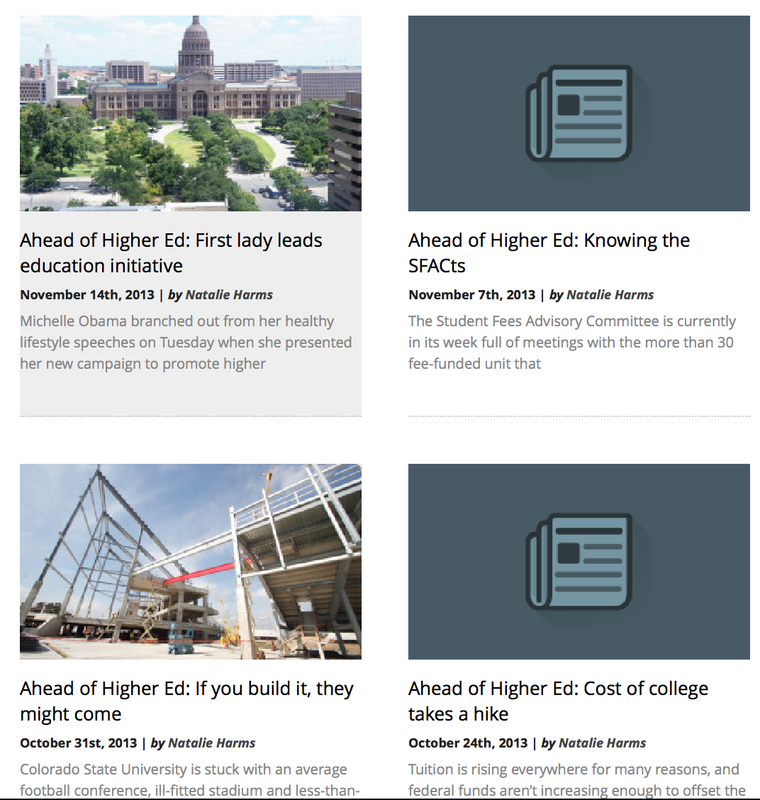 In Fall 2013 through Spring 2014, I created a weekly web series called Ahead of Higher Ed, where I would research a trending topic in higher education and relate it back to UH students. This entry was posted in The Daily Cougar and tagged freelance, Higher Education, Journalism, Natalie Harms, The Daily Cougar, The University of Houston, writer. Bookmark the permalink.